Epidermoid cysts are benign subcutaneous lesions that commonly grow on the scalp, face, neck, or back, but can be found elsewhere. London Dermatologist, Dr Daniel Glass, is an expert in cysts and cyst operations. Cysts can be a cause of concern for people who have them. But they are rarely a real medical issue. Pilar cysts look and feel like epidermoid cysts but have linings composed of cells similar to the cells of the root of hairs. They frequently appear on the scalp. 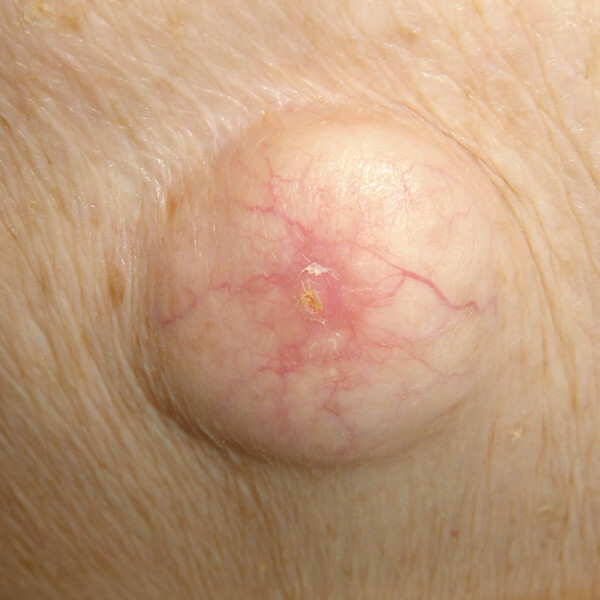 True sebaceous cysts are less common. Most cases of epidermoid and pilar cysts are benign and do not bother patients. Thus, very few people make appointments with their doctors for prompt diagnosis of these conditions. Most of the complaints are cosmetic in nature. Sometimes cysts get inflamed or infected. Doctors may recommend antibiotic treatment for infected . Surgeons normally only recommend removal of epidermoid or pilar cysts if the patient finds them troublesome and distressing. Excision is a simple, outpatient procedure with the intention to remove the cyst completely. There are a number of approaches in removal of cysts. A typical procedure involves conventional excision. A local anaesthetic is applied to numb the area. The surgeon then cuts open the skin over the cyst using a scalpel and then carefully pulls out the keratin-containing cyst ideally with the cyst remaining intact during the entire removal procedure. Surgeons may employ incision and drainage cysts especially if they have become infected and are painful. This will normally be undertaken in conjunction with antibiotics. In this case, a small incision is made. The cyst is cut, and its contents are squeezed out. Unless the wall of the cyst is fully removed then there is a reasonable chance of recurrence. Many patients set an appointment with their GP first. In many cases, the physician will refer them to a specialist, particularly a dermatologist like Daniel Glass. During consultation, the dermatologist will take a look at the bumpy area of the skin, palpate it, and may look into your medical information. The dermatologist will ask you questions about other symptoms you are feeling, the first time you noticed the lump, whether it is tender to touch, whether you had a recent accident or injury, and whether you have someone else in the family with the same cysts. The dermatologist may schedule you for surgery once you decide you want to have it removed. But first, he or she has to make sure the cyst is not infected or inflamed. Antibiotics may be given to decrease the infection and inflammation before scheduling the surgery.